Choose your scene, choose your props & strike a pose! 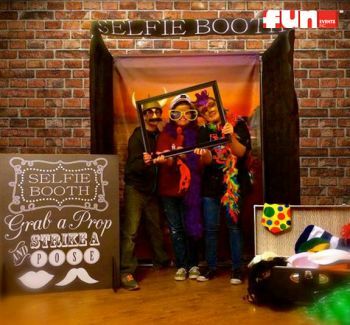 Guests use their own cell phone cameras to take the pictures in front of our scenic theme backdrops. 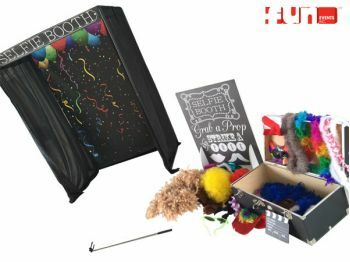 This popular attraction will prove to be a hit at your party that pays the fun forward by allowing your guests to text, email and share their selfie photo booth photos instantly! The Fun Events Inc. Selfie Photo Booth is perfect for any kind of gathering; birthday parties, after-proms, bridal showers, bachelor and bachelorette parties, graduation parties, family reunions, school fun days, church events, weddings, or company events.